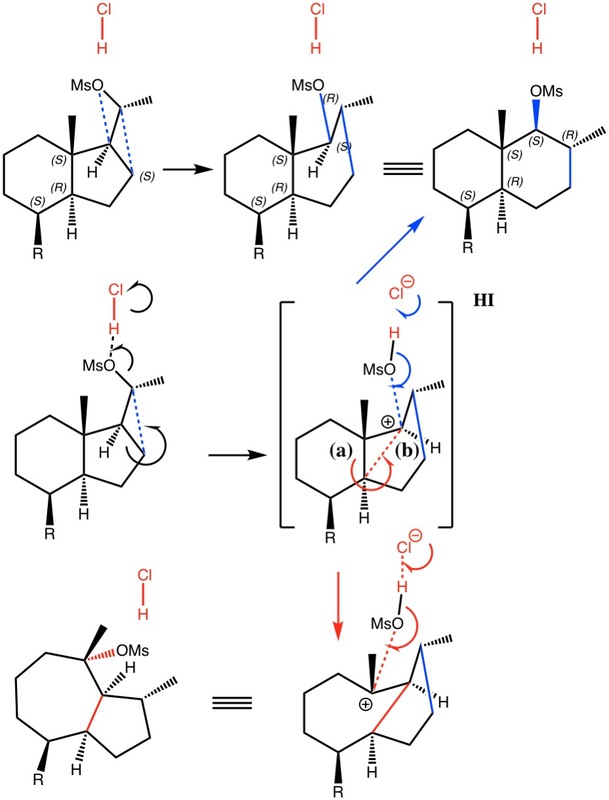 This is an interesting result I got when studying the [1,4] sigmatropic rearrangement of heptamethylbicyclo-[3.1.0]hexenyl cations. It fits into the last lecture of a series on pericyclic mechanisms, and just before the first lecture on conformational analysis. This is how they join. Following on from our first mechanistic reality check, we now need to verify how product A might arise in the mechanism shown below, starting from B. Secrets of a university tutor. An exercise in mechanistic logic: second dénouement. is licensed by Henry Rzepa under a Creative Commons Attribution-Noncommercial-Share Alike 3.0 United States License.